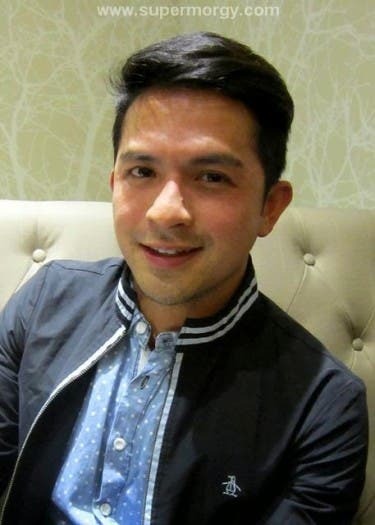 Blogger Super Morgy was able to secure a one-on-one with Dennis Trillo and threw tons of questions to the heartthrob from his hobbies, hidden talents, his collections, etc. Find out the status of his love life! If you have been checking out my interviews and articles on Morgan Magazine, you would know that most of the celebrities I featured are from ABSCBN, only seldom that I get to promote from other networks. Maybe becoz it is easier for me to set a schedule with a Kapamilya Star than with a Kapuso. GMA-7 didn’t have any conferences for Bloggers yet then. Only recently, that they started allotting events specifically for the online writers and bloggers. That could have been the reason why Dennis Trillo was a little uncomfortable at the start of the video interview. He is not used to having sit-down conversation with an editor he just met. He was like caught off guard. Nevertheless, he was gracious and kind enough to have accommodated me. We managed to smoothly finish the interview at the Mint Café of Green Leaf Hotel. Special thanks to his Manager Popoy Caratativo and Luminary Talent Management Joey Rada for allowing me to interview GMA7’s award-winning actor, Dennis Trillo. The very first time I saw Dennis Trillo on TV was around 10 years ago when he was still with ABS-CBN doing a Teleserye ‘Sa Dulo ng Walang Hanggan’ with Claudine Barretto. Ever since then I started watching his TV Shows and Films. Actually, as of this writing time, I’m watching his Teleserye Gagambino and Majika being replayed on Fox Filipino. Abelardo Dennis Florencio Trillo Ho, more known as Dennis Trillo is a multi-talented and multi awarded artist of GMA7. He had around 40 Television Shows and 19 films. He had a total of 12 nominations and won 11 awards, including Best Actor at FAMAS, FAP, Golden Screen and Star Awards for Movies and Best Supporting Actor at Golden Screen and MMFF. His most recent teleserye #MyHusbandsLover gave him another nomination for Best Actor on TV. It was GMA7’s bravest and smartest Teleserye ever produced and conceptualized. 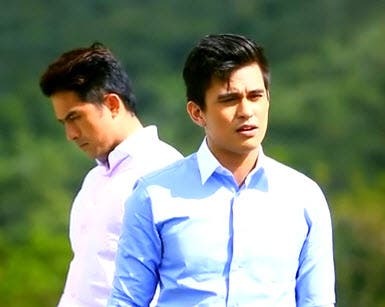 A gay-themed story that was well received by audience and made it the most controversial and intriguing drama on TV. utut mo laos! Lilipat sya sa ABSCBN kasi gusto nyo pa lalong sumikat!